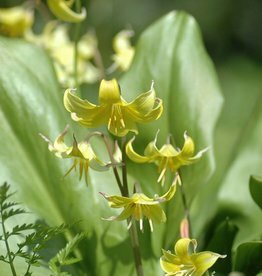 Erythronium (Dog's tooth) is a grateful bulb with extraordinary flowers that are reminiscent of those of the Columbine. 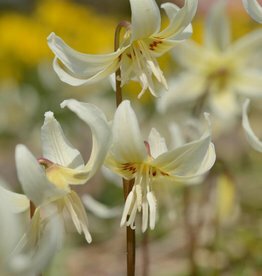 The most robust Erythronium cultivar is Erythronium ‘Pagoda’. 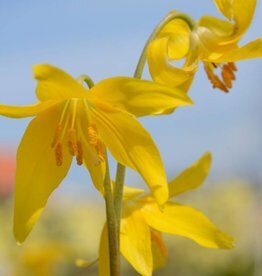 This cultivar is clump-forming and flowers profusely every spring. The clumps can be divided and replanted every couple of years. 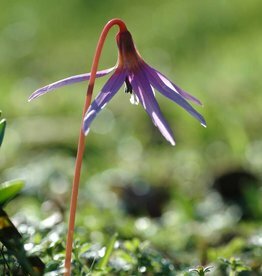 The wild Dog’s tooth violet, Erythronium Dens-canis, is native to Southern Europe.